Bodybuilding: Why We Have To Do It ? It is very difficult to avoid sugars as lots of people around the world love to eat sugars in the form of candies, chocolates, beverages, processed foods and many more things. All people including men and women children’s and old age found difficult to avoid sugar as they consume sugars in different varieties. Sugar provide more taste to our foods and his sweetness made our mouth watery and also attract us to eat them which doesn’t help you to avoid sugar. Sugars are available in everything that we eat and in all types of foods but his quantities may vary. 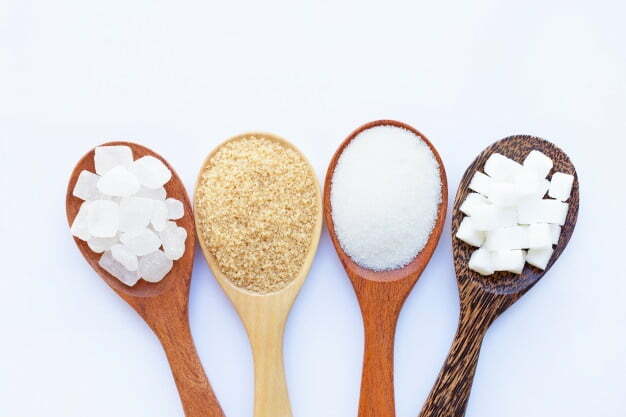 Sugars are of two types one is in a natural state that is available in the fruits, vegetables, cereals, flour, etc and the second one is added sugar that is available in chocolates, candies, sweets, beverages, etc. But have you ever think that eating lots of sugar is healthy for ourselves or not?? The answer is all the natural sugars that are available in fruits and vegetables by their biological nature no one adds sugars to them, this is healthy for our body but added sugar which is added to the foods to make them tasty is not healthy to our body that provides many bad impacts on our health. Weight gain or obesity is one of the main reason for excessive sugar intake, which is the major risk factor that leads to high blood pressure levels. High blood pressure increases the workload of the heart and arteries and can cause damage over time to the whole circulatory system. This can leads to many heart diseases such as heart attacks, stroke, kidney damage, and other various serious coronary conditions. People with higher added sugar intakes had a notable increase in the risk of heart attacks compared to those with lower intakes. One simple swap to cut your risk: Ditch the soda. It has been found that sweetened beverages are associated with high level of risk for coronary heart diseases. For every extra soda or sugary drink you consume, you may raise your risk of heart disease by up to 25 percent. If you are eating too much quantity of sugar can leads to impairing of cognitive functions and can also reduce the levels of proteins in the body which are necessary for your memory and responsiveness. A high intake of sugar is associated with metabolic syndrome, a condition which is associated not only with low cognitive function, but even it can change the brain structure of a person. If you are in a habit of eating too much added sugar then it can make your skin dull and wrinkled even in less age. It is because of a process which is called as glycation in which the sugar in your blood gets attached to the proteins to form an advanced glycation of the end products. It will also lead to destroying your body’s pure antioxidants enzymes, which leaves you more in the vulnerability of sun damage in your skin. “In this case, you truly are what you eat that is shows on your skin. Drinking 1-2 or even more than sugary drinks in a day, it will increase the chances of developing type 2 diabetes by around 26%. It is because of the high intake of insulin resistance which can be caused by excess sugar consumption, glucose, and other types of sugar which are not able to get into the cells of your body so, it will stick in the blood. The high blood sugar can lead to pre-diabetes and even there is the threat of actual diabetes in a person.